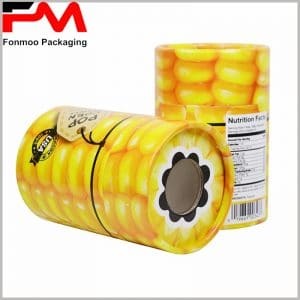 Sometimes you might be in need of such black large cardboard round tube boxes for your hair straightener packaging, as it is robust and very adapting to your goods. Made by 350g cardboard with a decoration realized by 60g single black paper, this is quite solid and protective for electronic goods, especially for hair straighteners. As for printing, there are two technics applied: the logo is printed by golden hot stamping process on a background realized by single color printing. Such simple work is also refined with careful processing, so with a good price in terms of production, you can have something not expensive, but still very attractive. Professional manufacturer as we are, we can always provide you what you need with good price and condition, as well as flexible personalized options. Just get in touch and let us know your demands, and then provide you needed black large cardboard round tube boxes for electronic goods.